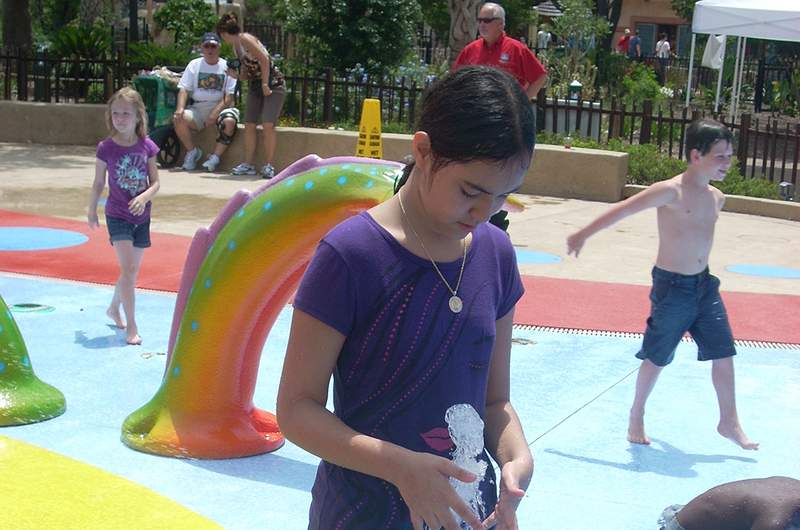 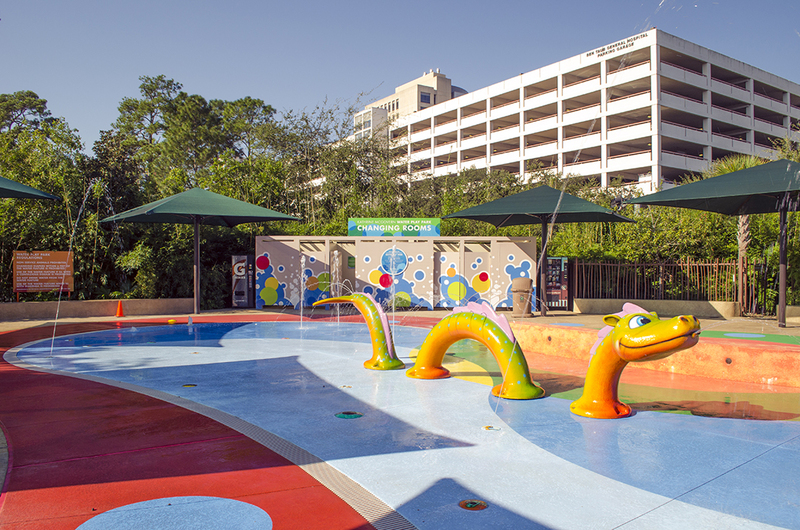 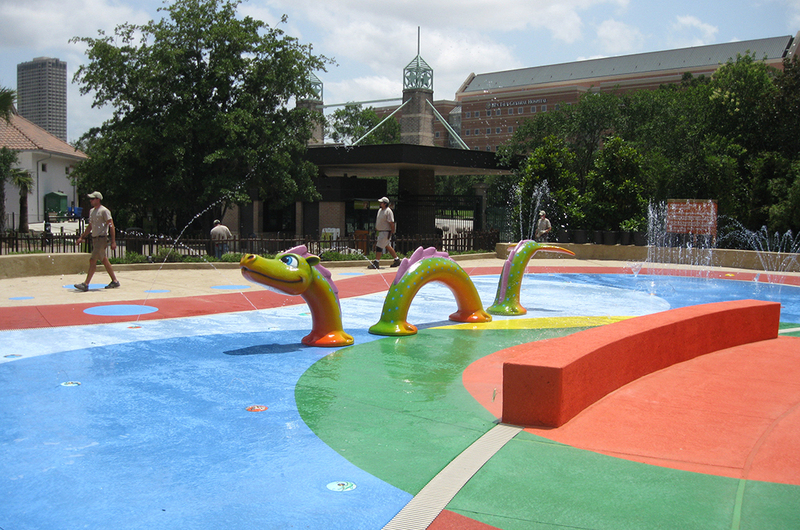 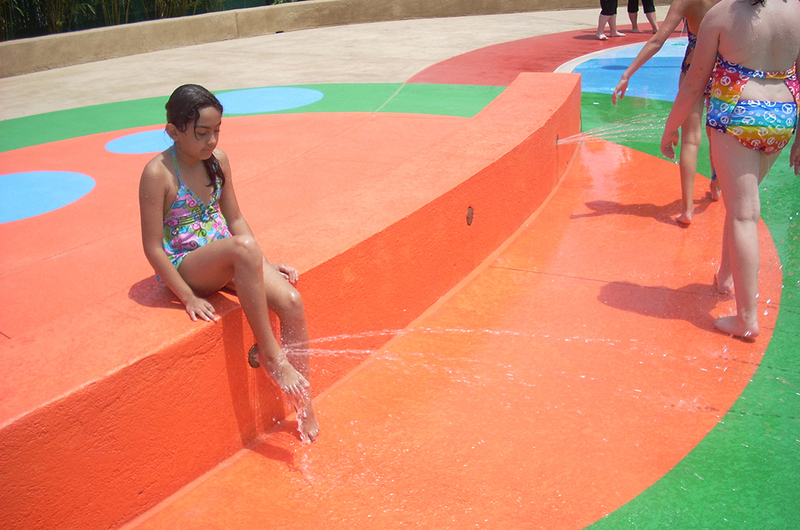 The Splash Pad was designed around a model sea serpent along with water dumping buckets for an exciting play experience. 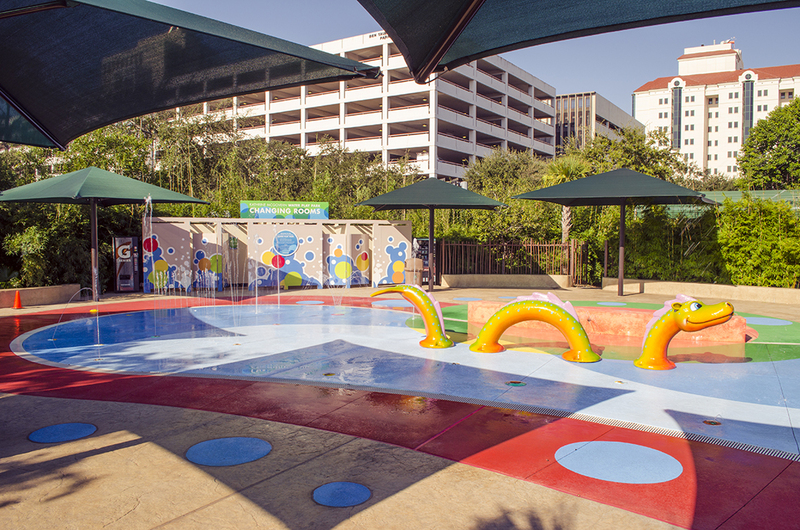 Surrounding the Water Play Park are shade canopies and changing rooms for patrons. 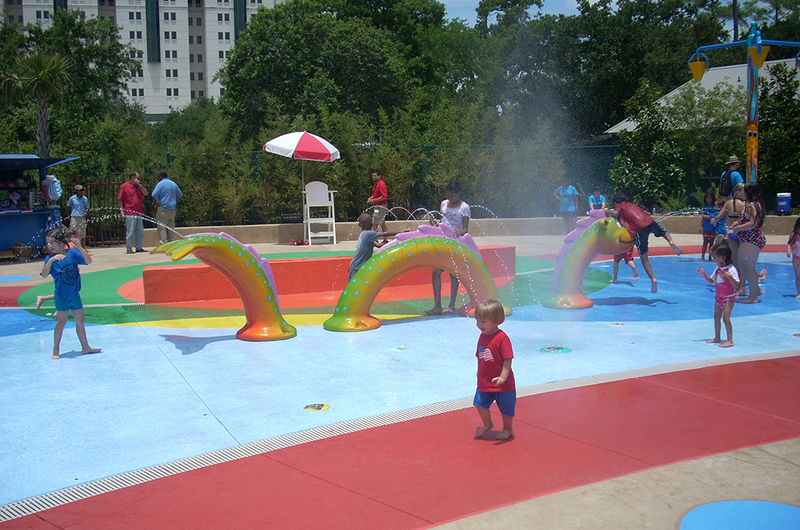 The project was a huge success! 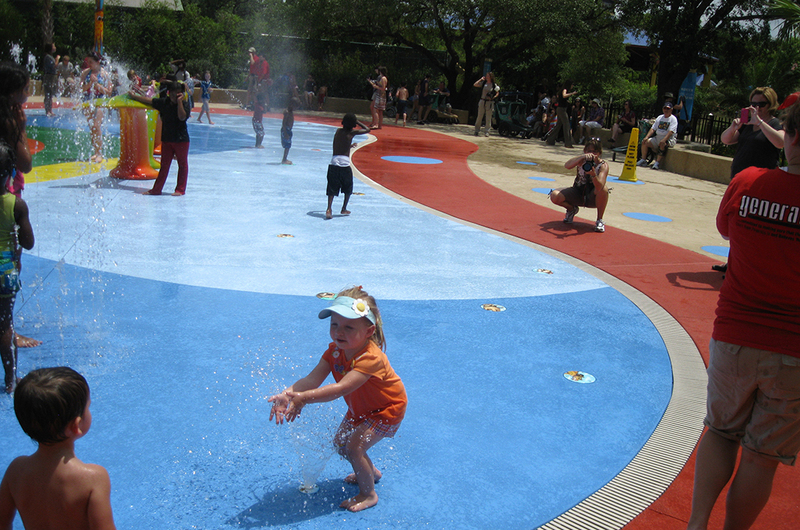 The Splash Pad brought several thousand additional guests through the gates of the zoo and continues to be a popular attraction for visitors of all ages! 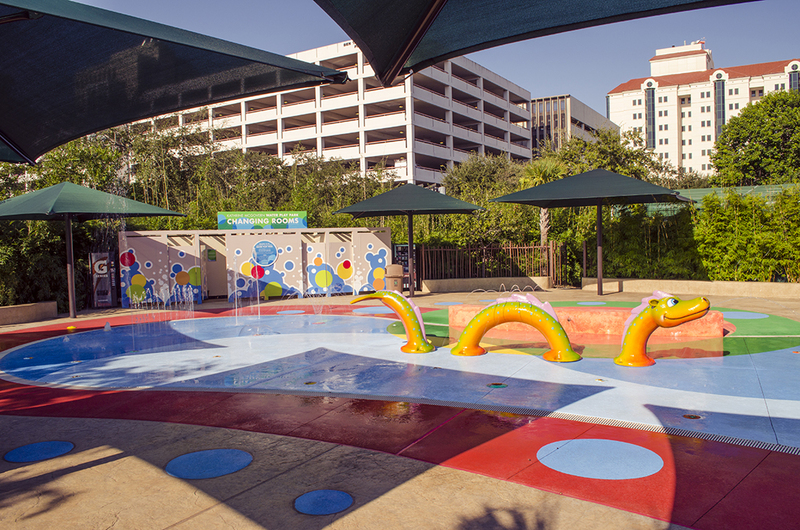 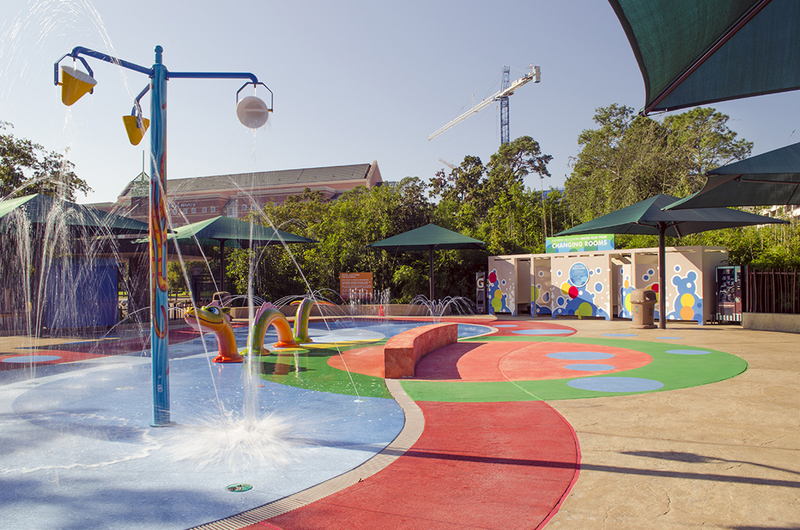 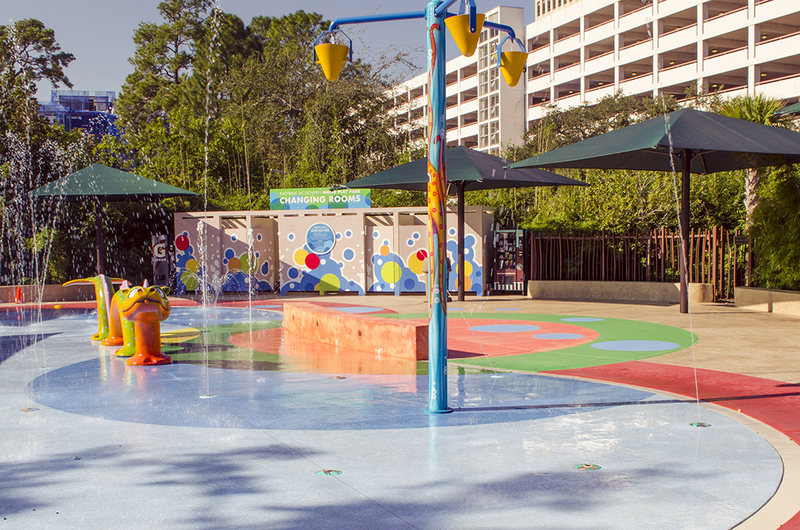 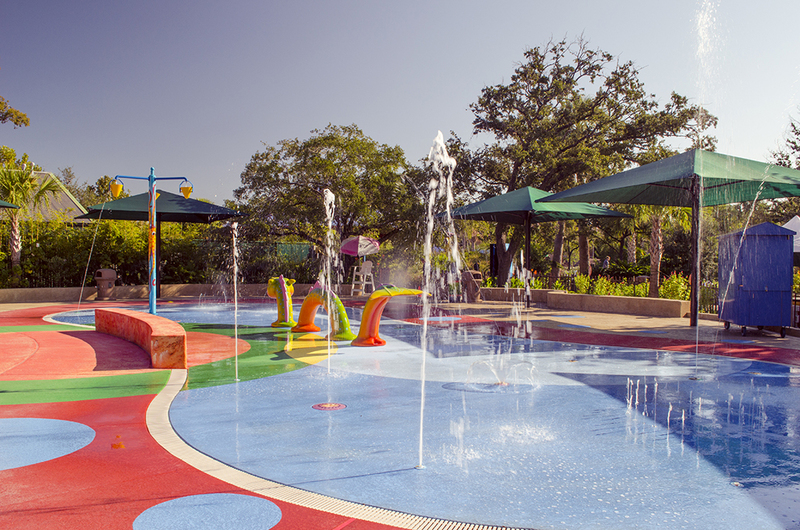 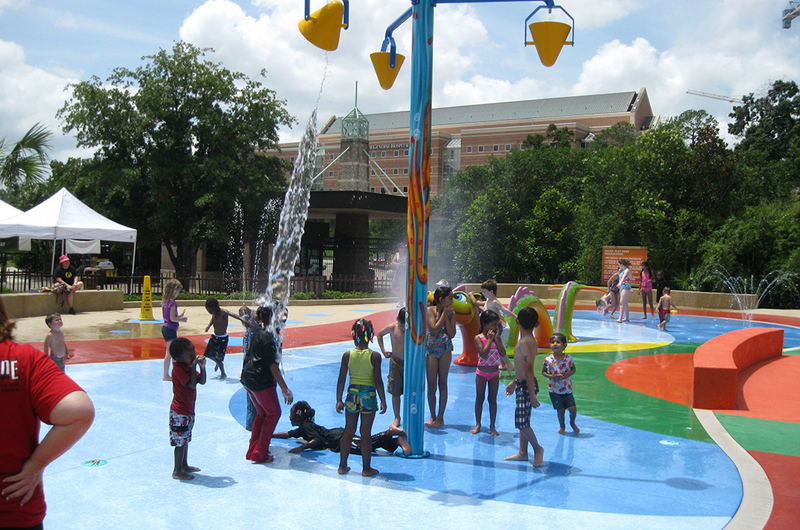 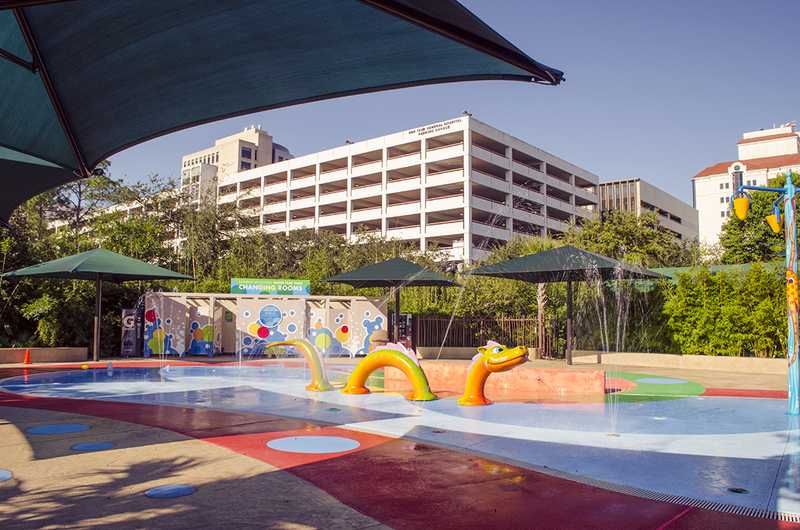 The Houston Zoo set out to design a 3,200-square foot Splash Pad to fit within the area adjacent to the Children’s Zoo. 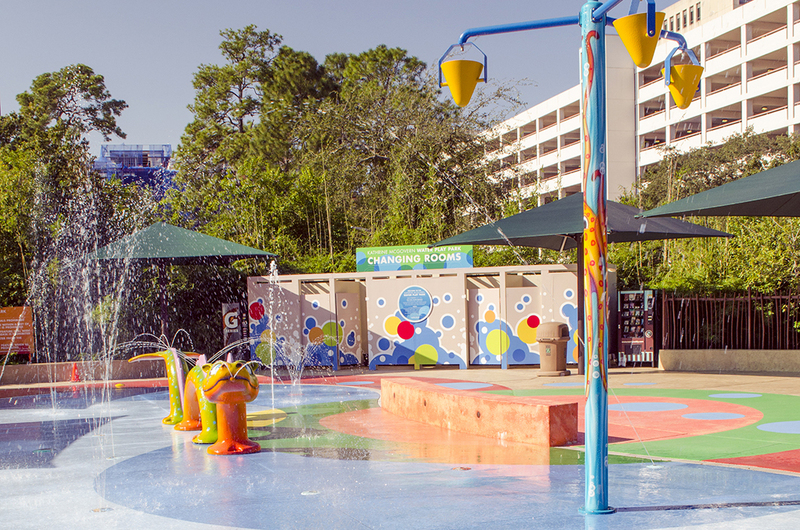 Due to the extreme attendance at the facility, safety and water filtration were our chief design considerations for this project.